It’s not easy, but it can — and should — be done. If you’re among the 80% of Americans currently carrying some form of debt, it may seem like an impossible challenge to pay that down while also saving for retirement. Some people say it’s important to pay down your debt before you start stashing away money for retirement, and in some cases that may be true. 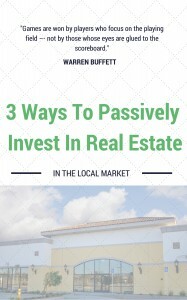 For example, if you have tens of thousands of dollars in high-interest credit card debt, then there’s little use in investing: You’ll likely end up paying more in interest than you earn from your investments. At the same time, though, if you wait too long to start saving, you’re missing out on valuable time to let your investments grow. How to Save for Retirement and Pay Down Debt at the Same Time. Because of the power of compound interest, the money you save today has far more growth potential than money you save later. Even small contributions early on can amount to more than big contributions made years later. In other words, if you waited 15 years to start investing, you’d have to save more than three times as much money each month to catch up to where you could have been. Keep in mind, too, that this example assumes that in the first scenario you’ll continue saving only $50 per month until age 65, when you may be able to increase your contributions over time after you pay down debt, get a raise, etc. Saving for retirement while you’re paying down debt can be tough for some people to pull off. If you’re living paycheck to paycheck and don’t have much cash to spare, then retirement saving may seem out of reach. If you’re in this situation, start by creating a budget. According to a Gallup poll, only a third of Americans keep detailed household budgets, and while making a budget is probably not your favorite way to spend an hour or two, it’s essential to figuring out where your money is going and where you have room to make cuts. When you create your budget, it’s also a good time to examine your priorities. For example, if you’re paying $50 a month for cable TV, think about whether you truly need cable or whether you could cut the cord, switch to streaming services, and put the $30 to $40 you save each month toward your retirement instead. Because even small contributions to your retirement fund add up over time, you don’t need to make huge cuts to see significant results. Besides creating a budget and making a few cuts in your spending, it’s important to be strategic about which debt you’re paying down first. 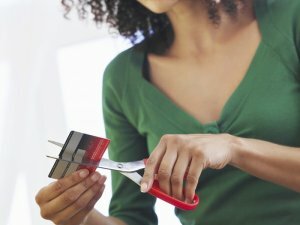 High-interest debt, such as credit card debt, is the most toxic because you could end up paying thousands of dollars in interest alone, and it could take many years to pay off that form of debt completely. While you obviously can’t ignore any other debt obligations, such as a mortgage or student loans, if you have extra cash at the end of the month after paying the minimum payments on your other debts, it’s best to split it between retirement saving and your debt with the highest interest rates. For example, let’s say you’re 30 years old, you currently have no retirement savings, and you’re carrying $10,000 in credit card debt and paying 18% in interest. Let’s also say you have an extra $150 at the end of the month, so you put $75 toward your retirement fund and the other $75 toward your credit card debt. If your minimum payment for that debt is, say, $250, that means your total payment amounts to $325 per month. If you’re paying $325 per month toward your high-interest debt, you’ll pay it off completely after around 42 months, paying a total of roughly $13,519. During those 42 months, you’ll also have amassed about $3,500 in your retirement fund by saving $75 per month, assuming you’re earning a 7% annual rate of return on your investments. If you then start contributing the full $150 per month toward retirement savings (since your debt has been paid off), after 31 1/2 years (when you’ll be turning 65), you’ll have a grand total of about $228,000. Now let’s see what would happen if you put the entire $150 per month toward your credit card debt until it was paid off and then started putting that money toward retirement savings. You’re still 30 years old with nothing saved for retirement and $10,000 in debt at 18% APR. You’re still paying the minimum payment of $250 for your debt plus the extra $150 per month, so your total monthly payment amounts to $400. In this case, you’ll pay off that debt in 32 months, paying a total of $12,632 — saving you roughly $887 in interest compared to putting just $75 per month extra toward your debt payment. During that time, though, you won’t be saving anything for retirement. So if, after 32 months, you start contributing $150 to your retirement fund, then after 32 years and four months (when you’ll be turning 65), you’ll have a total of $211,000 saved, assuming you’re earning a 7% annual return. Compare that to the $228,000 you could have if you had split your extra cash between debt and retirement savings, and you’re potentially missing out on around $17,000. So even though you’re saving several hundred dollars in interest payments by paying off your debt first, you’re potentially missing out on thousands of dollars in retirement savings by not contributing to your retirement fund whatsoever during all those months you’re paying off debt. While it may seem impossible to pay down debt and save for retirement at the same time, it can be done. All it takes is some creative budgeting and strategic choices, and you’ll be on your way to living debt-free and preparing for a comfortable retirement.